Financial Planning is an ongoing process to help you make sensible decisions about money that can help you achieve your goals in life; it's not just about buying products like a pension. 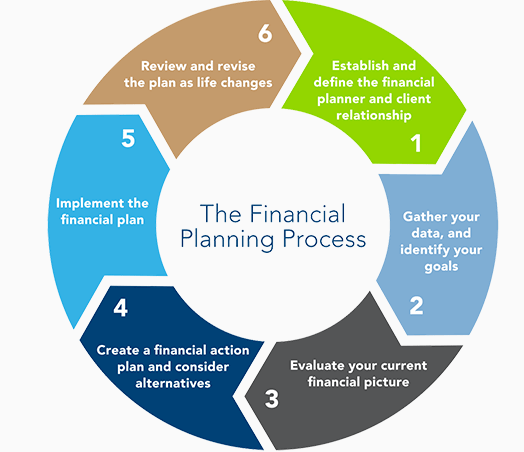 The Financial Planning Process consists of six steps that help you take a 'big picture' look at where you are currently. Using these six steps, you can work out where you are now, what you may need in the future and what you must do to reach your goals. The process involves gathering relevant financial information, setting life goals, examining your current financial status and coming up with a strategy or plan for how you can meet your goals given your current situation and future plans.